After the Introductory Seminar in Berlin and Potsdam, the Fellows from the new generation of the Fellowship Programme for Government Officials from the Western Balkans have started off with their 3-month fellowship programme practice in the respective EU ministries. In the first phase of their stay in the host institutions, the Fellows have prepared their presentations of their home institutions, countries and the specifics of the EFB Fellowship Programme, in order to introduce themselves in front of their colleagues from the host institutions. 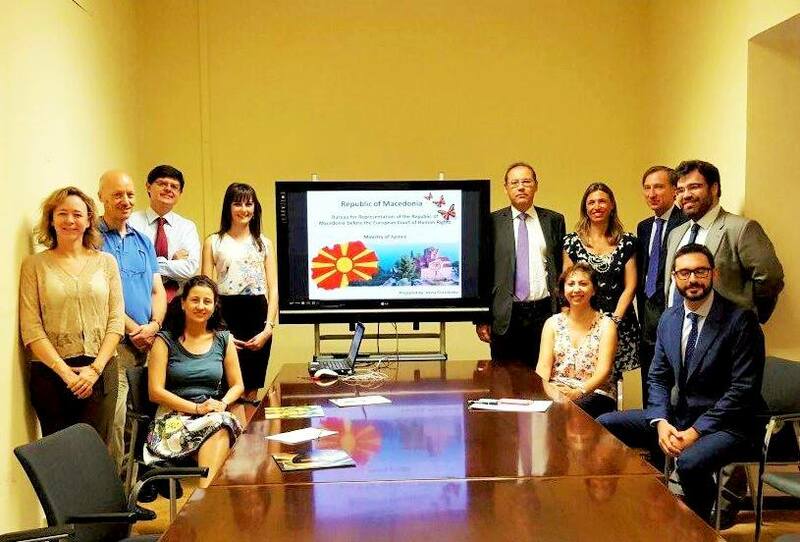 One of the Fellows, Irena Cuculovska, from the Bureau for Representation of the Republic of Macedonia before the European Court of Human Rights-Ministry of Justice, is spending her fellowship programme in the Ministry of Justice in Spain. Ms. Cuculovska has given her presentation in front of her colleagues from the Ministry and the Agents defending the state before the ECtHR. Her first impressions from the programme have been positive and her expectations are even bigger. I have been accepted in the host institutions as equal member of the team. They have already included me in most of the activities, and there are plans for many interesting official visits to many institutions of the central government in Spain. I’m very satisfied from the whole organisation of the work activities and the treatment I’m receiving. My superior has allowed me to be present at many official meetings that are of great interest for me. In only one week, I have already had an opportunity to learn a lot of new practices. In this manner, I expect that the next period will a great learning experience for me. According to the initial round of presentatons, the whole group of Fellows have had a productive start of their fellowship programme in the host institutions in Austria, France, Slovenia, Italy, Portugal and Germany, and the positive feedback from them is just a beginning of the forthcoming practice based and exchange of know-how with their European peers.